And if you enjoyed that, please join us at 7:30 pm tomorrow night, Tuesday, January 1st, 2013, upstairs at Hopleaf, for an evening with Julie Ganey, Andrew Huff, Sondra Morin, William Shunn, and Christopher Sweet. Happy New Year! Besides serving as co-host of Tuesday Funk, William Shunn slinks through life as the lesser-known secret identity of hard-edged cult pulp fiction author Perry Slaughter. Mr. Slaughter, or so the story goes, first came to prominence in the mid-1980's with slender works of genre fiction hailed as "utterly bereft of any moral center." More recently his short stories have appeared in Electric Velocipede and elsewhere. 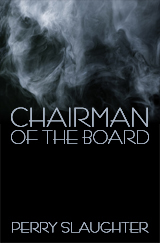 Sinister Regard Publishing has just undertaken a project to reissue some of his early novellas, including Chairman of the Board, Deus Ex Machina, and Whether We Are Mended. He divides his time between the northeastern United States and a yacht plying international waters. His passions include vinyl records, scotch whisky, and high-seas piracy. Hear Bill (and/or Mr. 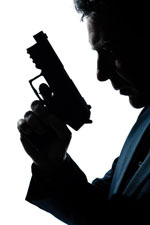 Slaughter) and the rest of our outstanding readers on Tuesday, January 1, 7:30 pm, in the upstairs lounge at Hopleaf. Christopher Sweet, a returning Tuesday Funk reader, studied writing in the Fiction Writing Department at Columbia College, Chicago, and is obsessed with problems of historiography, time, quantum stuff, and anything else that hasn't been totally monetized. Hear Chris and the rest of our outstanding readers on Tuesday, January 1, 7:30 pm, in the upstairs lounge at Hopleaf. 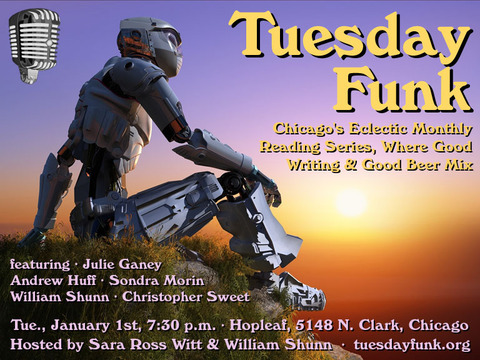 And if you enjoyed that, please join us at 7:30 pm on Tuesday, January 1st, 2013, upstairs at Hopleaf, for an evening with Julie Ganey, Andrew Huff, Sondra Morin, William Shunn, and Christopher Sweet. See you there! Sondra Morin is an essayist, poet, and social critic. She earned her B.A. in English from the University of Massachusetts Amherst and is an alumna of the Juniper Summer Writing Institute. Poems, prose, and commentary appear in American Public Media's Marketplace, Curbside Splendor, Two With Water, vis a tergo, The Rumpus, and more. She regularly contributes to The Naked Truth, lives in Western Massachusetts, and blogs at: Snails Are Good For The Environment, Too. 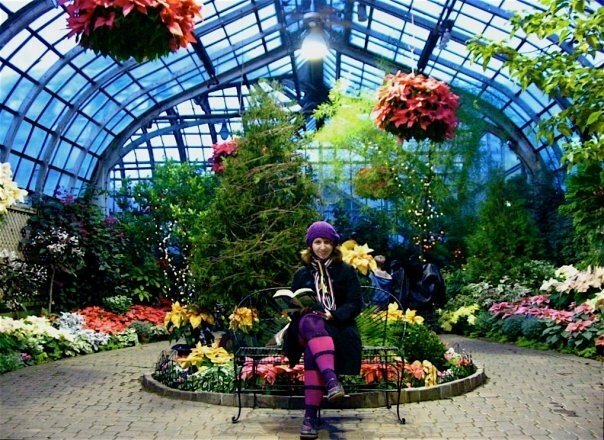 Hear Sondra and the rest of our outstanding readers on Tuesday, January 1, 7:30 pm, in the upstairs lounge at Hopleaf. 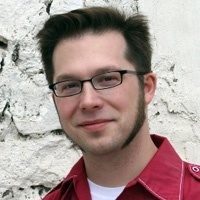 Andrew Huff is the editor and publisher of Gapers Block, a Chicago-centric news and events webzine he co-founded in 2003. 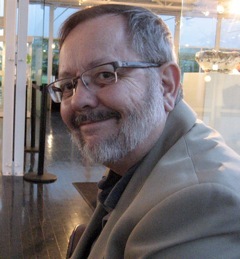 A serial early adopter, Huff created his first webpage in 1996; launched his personal blog, me3dia.com, in 2001; and joined both flickr and Twitter in their infancy. In addition to Gapers Block, he has also worked for several years as a professional blogger for corporate clients such as American Express, Kenneth Cole, A&E and Starwood Hotels, and is a sought-after consultant on content oriented web projects. He holds a journalism degree from The Ohio State University and a certificate in medical writing and editing from the University of Chicago, and spent 10 years in public relations, working primarily with clients in the healthcare and biotech industries. He has taught in the journalism departments at Loyola University Chicago and Columbia College, and is a frequent speaker at SXSW Interactive and other conferences. In 2009 he was named to the Crain's Chicago Business' 40 Under 40 list. He lives on the far North Side of Chicago with his wife and two cats. Hear Andrew and the rest of our outstanding readers on Tuesday, January 1, 7:30 pm, in the upstairs lounge at Hopleaf. 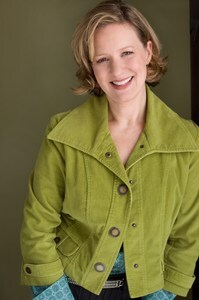 Julie Ganey has worked as a writer and actress in Chicago for 20 years, and her original solo shows The Half-Life of Magic and Love Thy Neighbor...till it hurts have received multiple productions in the Chicago area. In the classroom, Julie is an arts educator for students of all ages through the Goodman Theatre, Lifeline Theatre, and Raven Theatre, and her bullying prevention program, Stand Up on the Schoolyard, has been presented to students and educators within the Chicago Public School system and across the country. Julie is a company member and the Director of Education for 2nd Story. Julie will be reading as part of our mini-series featuring writers from the new 2nd Story anthology Briefly Knocked Unconscious by a Low-Flying Duck. Hear her and the rest of our outstanding readers on Tuesday, January 1, 7:30 pm, in the upstairs lounge at Hopleaf. Video: William Shunn drops some "Strong Medicine" on Washington, D.C.
And if you enjoyed that, please join us at 7:30 pm on Tuesday, January 1st, 2013, upstairs at Hopleaf, for an evening with Julie Ganey, Andrew Huff, Sondra Morin, William Shunn, and Christopher Sweet! Good news. Your friends at Tuesday Funk have your New Year's Day hangover cure all figured out! Just order yourself a little hair of the dog, stir in five great readers with a smidgen of fiction, some essays, and a little poetry, and you'll be feeling better in no time. Oh, you'd like more details? Well, we'll bring you the next in our series of readings from the new 2nd Story anthology, this time featuring the great Julie Ganey. We'll also have Andrew Huff from Gapers Block on hand, together with Sondra Morin, William Shunn, and Christopher Sweet. Throw in one of our patented Poems by Bill, not to mention your pick of cold beers from around the world, and your 2013 will be off to a fantastic start. The evening gets underway with your co-hosts Sara Ross Witt and William Shunn on Tuesday, January 1st, 2012, 7:30 pm, in the upstairs lounge at Hopleaf, 5148 N. Clark St., Chicago. Arrive early for a table and grab a beer from Mark at the bar (where credit cards are now accepted!). We start seating at 7:00 pm and no earlier. Admission is always free, but you must be 21 or older. And come early or stay late after for some great Belgian-style food downstairs.